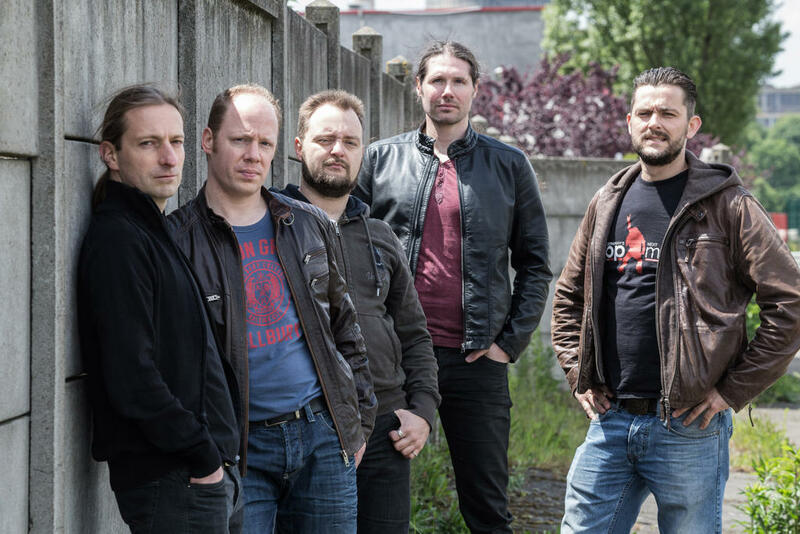 More than 16 years of touring, playing shows with bands like BLIND GUARDIAN, CHILDREN OF BODOM or POWERWOLF and at festivals such as the legendary WACKEN OPEN AIR - and still, InfiNight knowing their roots in the metal underground. But the quintet doesn't lag behind the big ones in business: Three studio albums released, two EPs, and more than hundred shows demonstrate the amount of work of the German Metal Institution. The songwriting of InfiNight is not alway oriented to conventional grids. The band sometimes chooses a bolder way to write. There are often atmospheric and very emotional componets which denote their songs. But fans of the power and ingenuity of the more American influenced Power Metal have also here their proper place. InfiNight mix sophisticated guitar riffing with pounding drums and grooving bass. In addition distinctive, charismatic vocals with high recognition value - being concise, Metal in its purest form! According to numerous enthusiastic album reviews, some honorable comparisons with bands like NEVERMORE, ICED EARTH or METALLICA came. But nobody denies the great self-reliance of InfiNight. Founded in the spring 2001, published InfiNight 2005 their debut album "Sea of Knowledge" (9 songs, 55 minutes of playing time). This helped the band in addition to numerous appearances to get some attention (bright-eyes.de: 13/13, metal.de: 8/10) in the nationwide Metal scene. The successor "Like Puppets" of 2010 (eleven songs, 71 minutes of playing time) was such a huge success (metal.de: 9/10, powermetal.de: 8.5/10, myrevelations.de: 13/15) that it was republished in 2011 on the label 7us Media Group / 7Hard. The following concept-EP "The Vision" (five songs, 15 minutes of playing time) was published in May 2013 and again InfiNight earned rave reviews (time-for-metal.eu: 95/100, absolutehell.net 90/100 evil rock hard.net: 9/10). In August 2015 InfiNight presented their third studio album "Apex Predator" (eleven songs, 61 minutes of playing time). On "Apex Predator" InfiNight shows itself musically matured and the album combine the strengths of its predecessor, so that this album again delights fans and critics (Metal Temple: 9/10, DeepGround: 4.5/5, Powermetal.de: 8.5/10, Reckoning Hour: 88/100). After fifteen years together on tour, InfiNight released in december 2016 the EP "Fifteen". It's a present for all fans who supported the band over the last 15 years. The EP contains the remake for one of the first InfiNight songs "Goodbye, cruel world", the unplugged Version of "Here to conquer", a cover of the band "Hellowed" and a new song especially written for the EP. And also "Fifteen" earned rave reviews (Metal Na Lata: 10/10, MetalZone: 9,5/10). A more detailled band info you find on Wikipedia.